Much Music | Pilchner Schoustal International Inc. 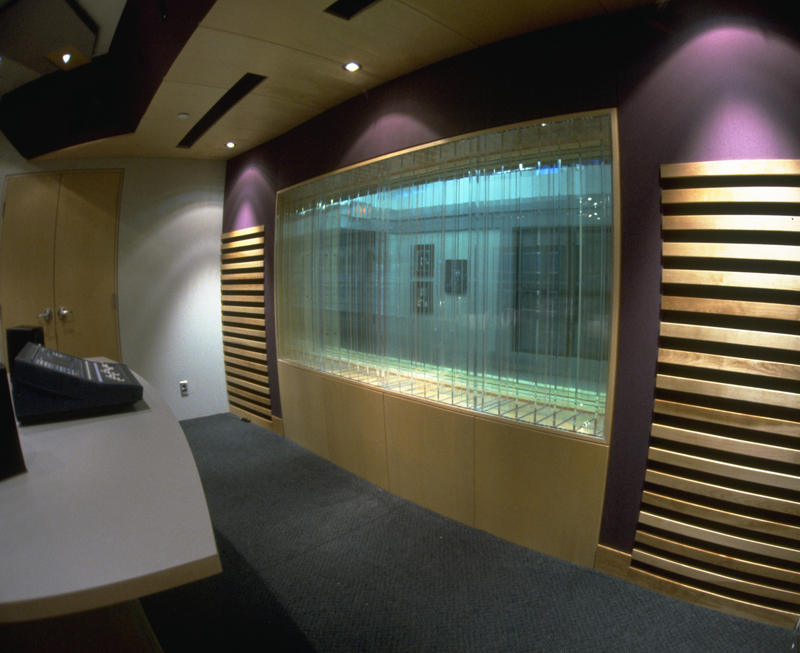 The Control Room of this On-Air Television Studio, features a high sound isolated enclosure system which includes 6″ thick concrete floating floors. The floating floors integrate a comprehensive cable management system which connects all points within the control room to the attached machine room and the rest of the CityTV complex. Designed to house the Studer S950 console, the Control Room is acoustically optimized using a controlled reflection geometry approach. 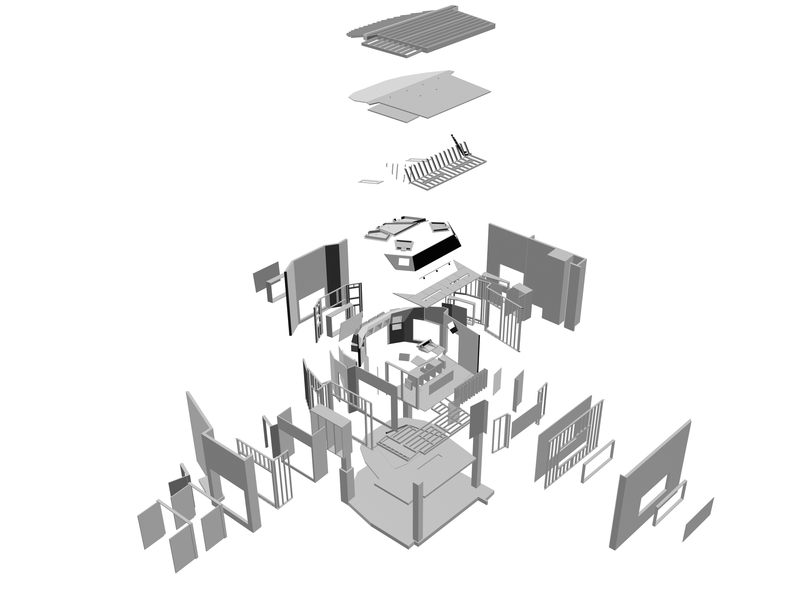 Because the Control Room is required to be visible from several locations and to accomodate daily tours throughout the complex, as much glazing as possible was utilized without effecting the room’s acoustic performance. 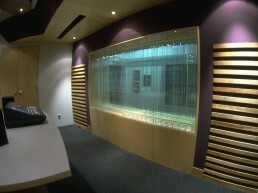 In fact, a custom clear plexiglass RPG diffusor array was incorporated into the back wall in order to maintain the room’s visual openness. 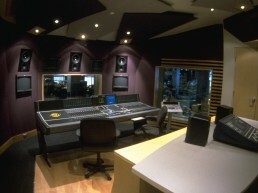 Soffit mounted Genelec monitors are used, and the room is fully configured for surround mixing. Multiple, split screen video monitors are also soffit mounted so that the engineering staff can easily view any programming the station requires at any time. 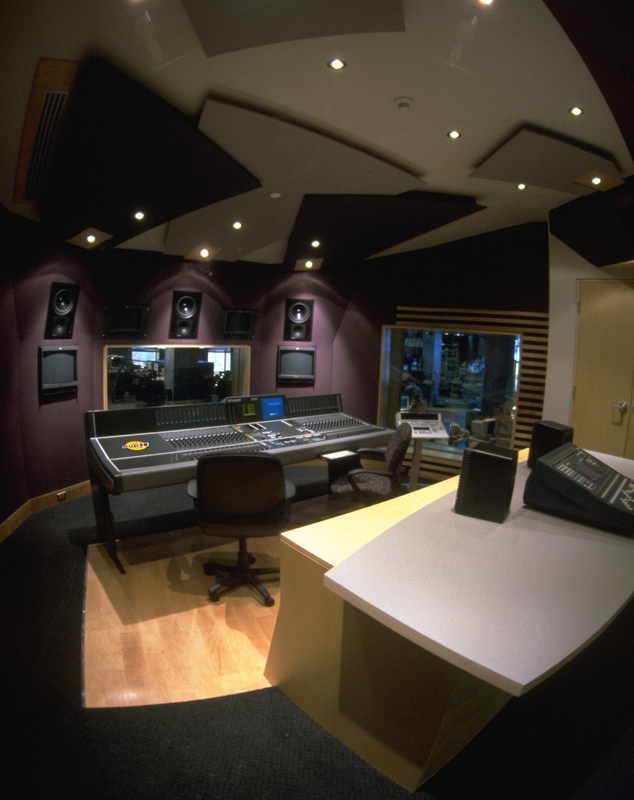 The control room must remain functional even during technical downtime and is therefore outfitted with a redundant console and monitoring system integrated into the producer’s table millwork.